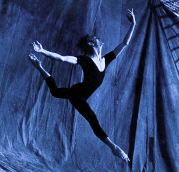 Located in Oscoda, Michigan, just a few hours north of Detroit, NEAD was established in 1997 by co-founders Giuseppe Canale and Scott Heinrich to provide Northeast Michigan with an additional cultural and artistic resource focused on the performance of and instruction in ballet and associated forms of dance. Our guiding philosophy is to use these opportunities of performance and instruction to allow each prospective student to explore their own individual abilities and talents for expression and communication through the performing art of dance. This individual journey for each student can lead them along any one of several fruitful and worthwhile paths: establishing and nurturing a love, understanding, and respect for the time-honored art forms of ballet and modern dance; the kindling of the spirit of appreciation for all forms of art in general; guiding each student along the road to improved physical health through the focus and attention placed on the condition of one's body; establishing or rebuilding a strong foundation of self-esteem or self-worth in each student; and for those so inclined, the opportunity to dance with an amateur or professional dance company. It is our aim and hope that NEAD enriches the lives of each student and their families in these and so many other ways. The Northeast Academy of Dance is a professional school of dance specializing in ballet and modern dance, located on the former Wurtsmith Air Force Base in Northeast Michigan. The school has about 60 students, and has attracted students locally, as well as statewide, nationally, and internationally. The facility includes two spacious dance studios equipped with state-of-the-art sprung flooring, large windows, and air conditioning.